A wedding is a day full of love, laughs and dancing. And one groom included all three in a surprise for his new bride. In a hilarious dance with him and his groomsmen, this groom expressed his love for his new bride to none other than Justin Beiber. 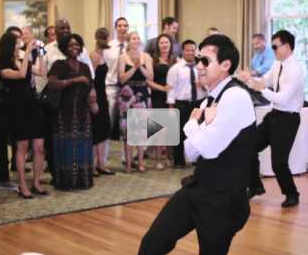 Take a minute and watch this fun dance and the shock on his new wife's face.